Latin America has the world’s widest income gap. In spite of the economic growth experienced in the region, this disparity has increased over the past 50 years, especially during the last 20, with foreseeable consequences: a decline in real purchasing power, a rise in unemployment, and shrinkage of the middle class. At the same time, public spending on health, education and other social services was abruptly reduced. However, the relentless fight against the ongoing violation of people’s social rights, in many cases through years of military dictatorships, have strengthened the Latin American human rights movement, which has become one of the most powerful of such movements in the world and is now redoubling its efforts to promote and protect these rights in the region. Given the massive current violations of social rights and the store of experience in the promotion of human rights accumulated by groups addressing these issues, this is a particularly opportune moment for learning from the progress made in the promotion and protection of social rights in Latin American and for assessing challenges, obstacles, and strategies. Through the contributions by many of the foremost human/social rights activists and academics in Latin America and the United States, this book assesses the challenges faced by several Latin American countries in the promotion of social rights. It also examines the strategies used to protect various specific rights (health, education, social security, housing, among others) and explains the impacts that the burden of debt, the structural adjustment policies, and trade agreements have on the promotion of social rights. 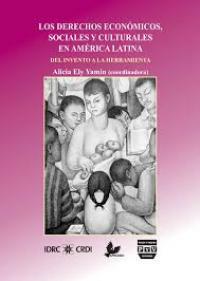 Alicia Ely Yamin is Director of Research in Physicians for Human Rights (USA) and a professor at Harvard University. She coordinated the edition of this book on behalf of APRODEH (Asociación pro Derechos Humanos del Perú), a non-governmental organization that for over 25 years has been promoting an integrated approach to human rights for all Peruvian citizens.